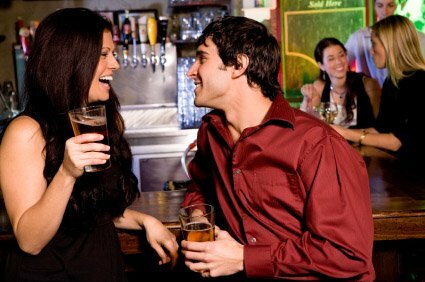 First dates often make couples a little nervous or apprehensive so here are some do’s and don’ts to help you along. Both men and women wish to impress their date by dressing up a little, however it must be said not to overdo things. For ladies it’s advisable not to wear too much makeup for instance, too low cut a dress or too high heeled shoes. Make sure you don’t tower over your male friend as this could undermine his confidence and make you look quite silly. Wear something you feel comfortable in that looks smart and just right for the venue you’re going to. Men should also dress according to where they are taking their lady, if it’s a restaurant a casual shirt and smart trousers will be fine. It’s best not to be too forward or over confident especially on a first date. Just let the conversation flow, show an interest in each other and above all, listen to what the other has to say. If you’re expecting things to heat up, say for a first kiss, do make sure you don’t eat anything spicy or have a meal that has lots of garlic in it. Although spicy meals with garlic taste great, it’s not much fun kissing when there’s an aftertaste. Although men were always thought to provide for their partners, first dates give ladies the opportunity to pay their way. By offering to pay for half the bill will show your date you aren’t going to take advantage of their kindness. If your date insists he pays, then it’s always polite to accept graciously and maybe you can pay for a meal the next time.